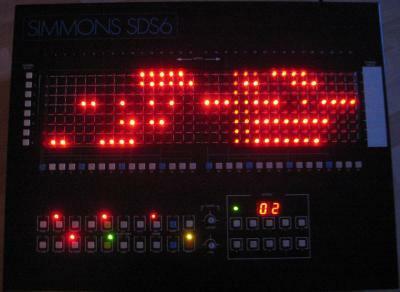 Simmons SDS6 drum pattern programmer. Picture taken from the Paul Maddox's page for lovers and users of the Simmons SDS range of instruments. Please credit the site the picture came from! you're very lucky to own this wonderfull gear. Thanks for the new link. Also, I'll be uploading the user guide to that site, once I can find a scanner..
site. It pretty much covers xtreme gaming computer related subjects. Without much luck, I was searching for blogs about Video Games when I happened across yours. It's a cool blog. Evidently you like telling it like it is! I have a really great ebay website that is easy to use that you may like. If you get a chance, check it out www.licensedbrandsclub.com. If you have a moment, please make a visit to my yirus site.